The Male Model Music Project: The Male Model Music Project in Italy Part 7 FALL-WINTER 2015-16 EDITION/ Season Photographic Review & Backstage Inspection Series! The Male Model Music Project in Italy Part 7 FALL-WINTER 2015-16 EDITION/ Season Photographic Review & Backstage Inspection Series! Last minute preparation before hitting the Messagerie Fall/Winter 2015-16 runway at Stazione Leopolda, Florence. 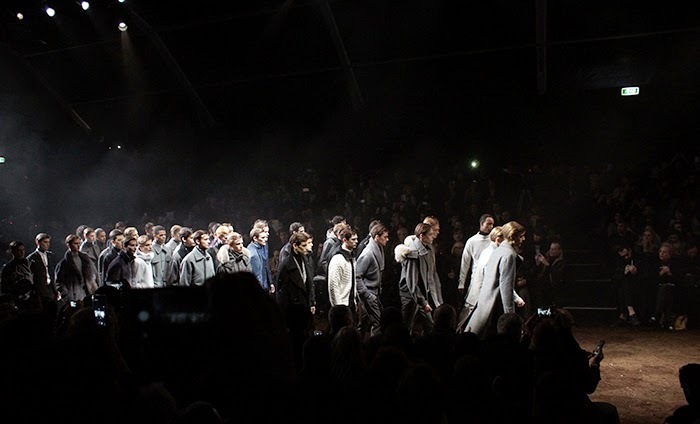 Despite the fact that it has gotten more and more difficult to be able to do it every time, do not miss the traditional photo review of my Fall/Winter 2015-16 season during my trip to Italy for the men's collections – as you know, this time I collaborated with NOB covering some cool backstage in Florence and Milan. Looking forward to attending the upcoming Spring/Summer 2016 Edition and in case I am not able to do it, please understand that I am not the kind of blogger or journalist that gets nice presents and thousands of dollars every year to travel around the world (haha). Rest assured that I will try my best to bring you another piece of my view behind the scenes so I am still looking for a way to make it possible. Fashion is an experience and sometimes you need to bleed in order to capture a part of it. Enjoy! 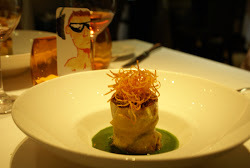 Dsquared2 Designers Dean & Dan Caten at Ceresio 7 Restaurant in Milan. 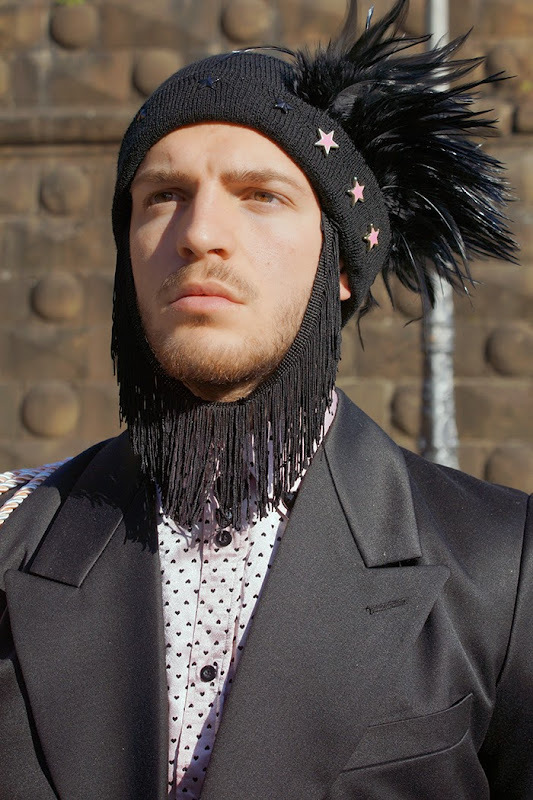 French designer Sébastien Blondin Fall/Winter 2015 'Tokyoite' Preview. More HERE. 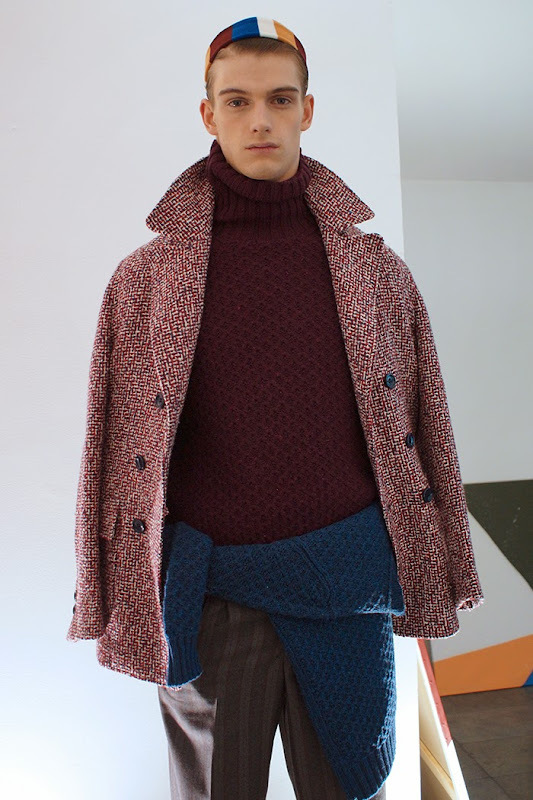 Brazilian model André Bona poses at Daks Fall/Winter 2015-16 Backstage. More at Nob, HERE. 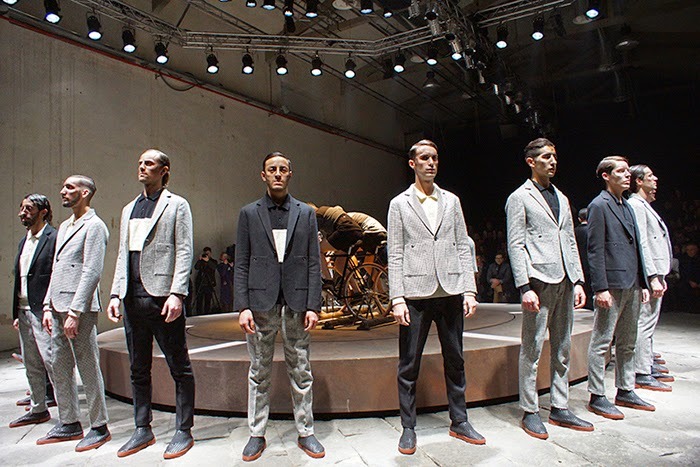 'Walkabout Pitti' was the layout/ theme of the Florentine menswear tradeshow Pitti Immagine Uomo. According to the organizers there was a significant increase in the number of buyers and visitors this winter edition. 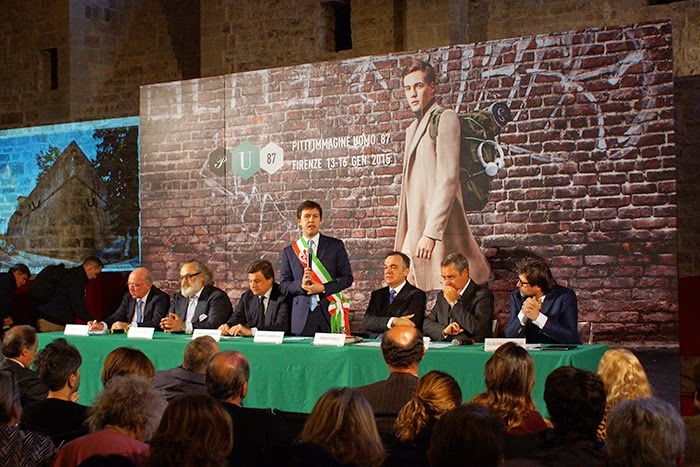 At the opening ceremony of the 87th edition of Pitti Uomo held at Sala d'Arme in Palazzo Vecchio, the authorities of the fair and Florence such as the Major Dario Nardella (speaking in pic) discuss the plans and upcoming projects of the tradeshow, Italian fashion and textile industries for the years to come. 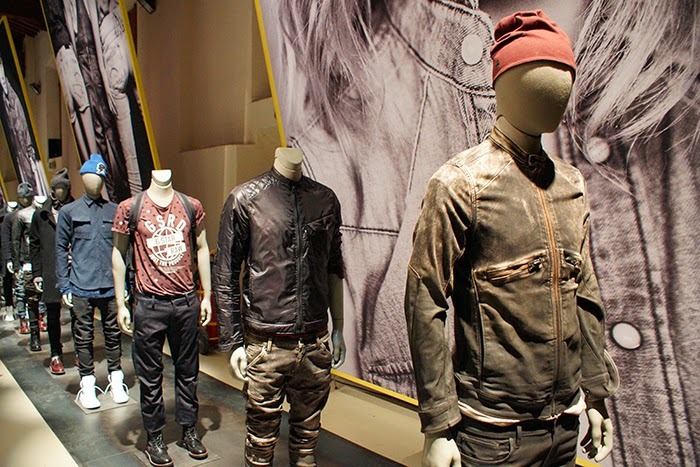 The presentation stand featuring the preview of the G-Star RAW Fall/Winter 2015-16 Collection. 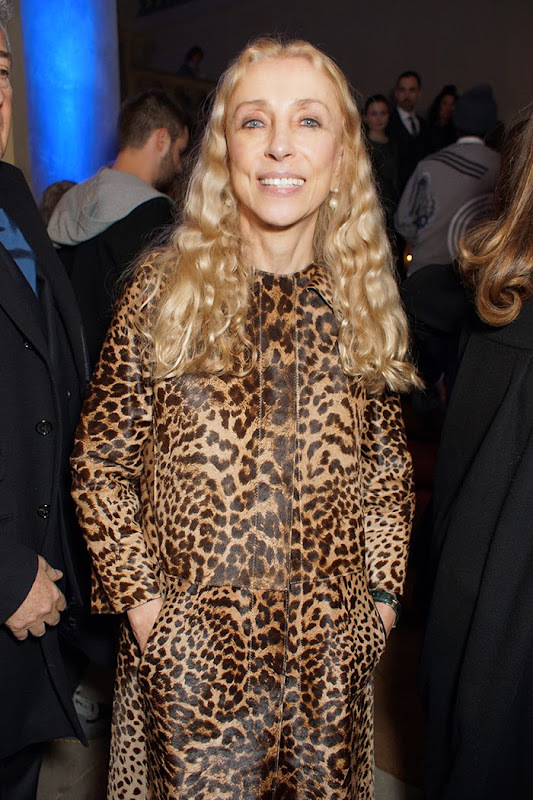 Editor-in-Chief of Vogue Italia and L'Uomo Vogue Franca Sozzani arrives at the Fashion Evolution: A Turkish Leather Story Event in Palazzo Capponi all'Annunziata. 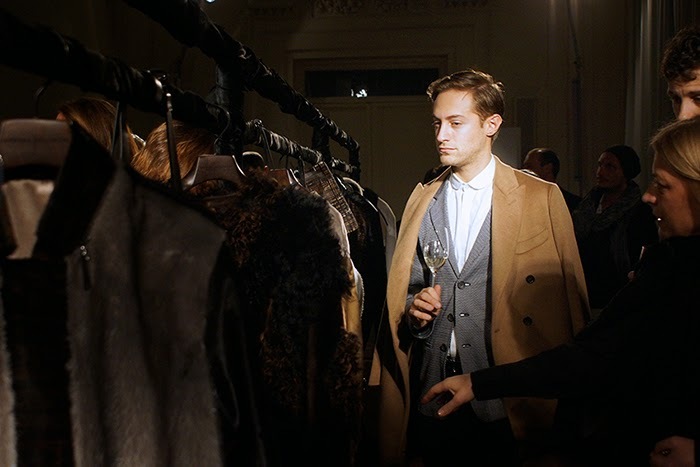 A guest at the Fashion Evolution event checks out the pieces of the exclusive collection of Andrea Incontri that was prepared in cooperation of this project featuring a small selection of Turkish leather designers. More HERE. 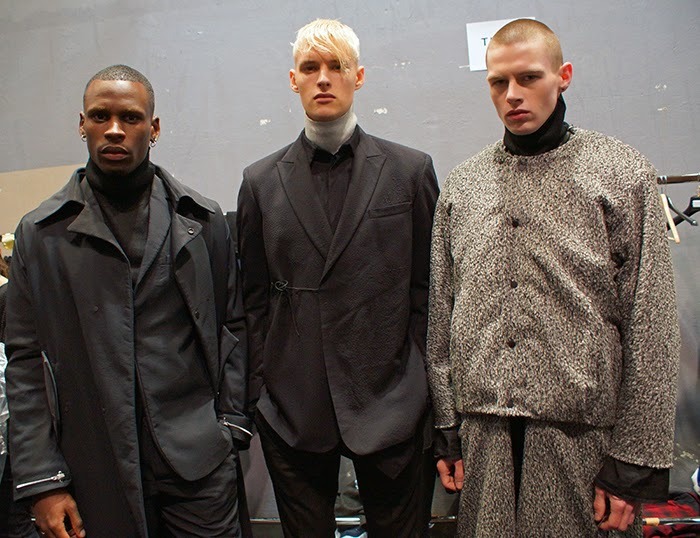 Models at the T. Lipop Fall/Winter 2015-16 Backstage at Dogana for Pitti. More HERE. 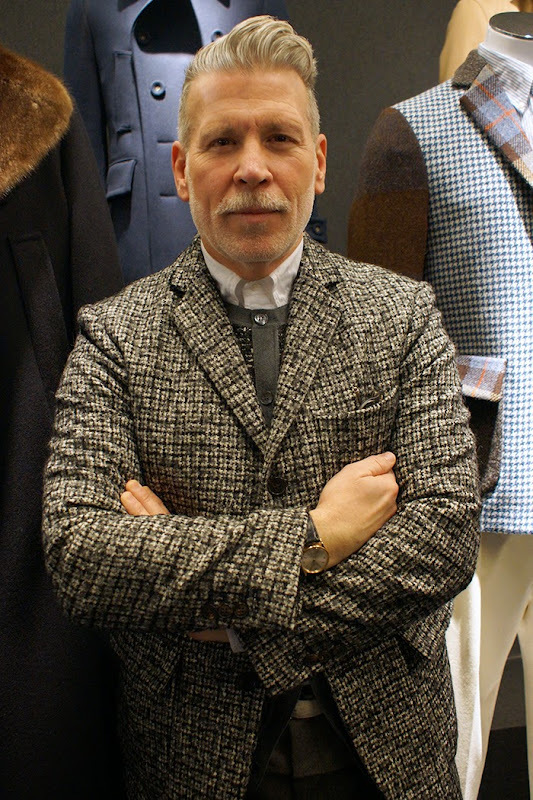 Another collaboration between Italian fashion label Lardini and Nick Wooster for the Fall/Winter 2015-16 season. More HERE. 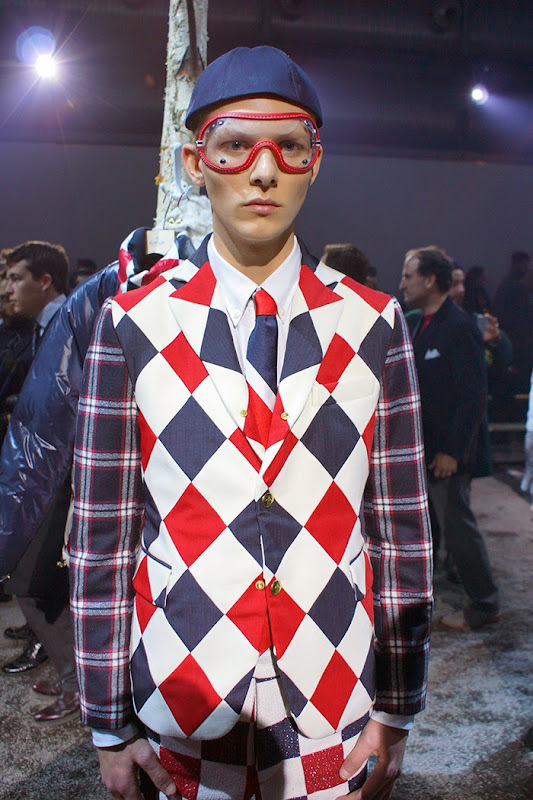 Nick Wooster at his booth in Pitti. 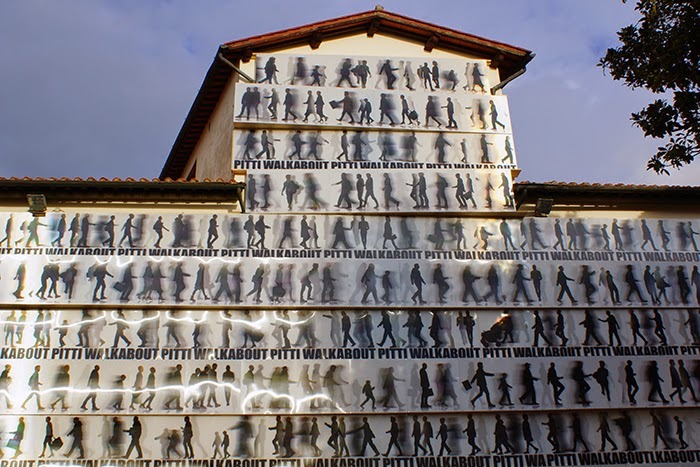 A static guy modelling outside La Fortezza in Florence. 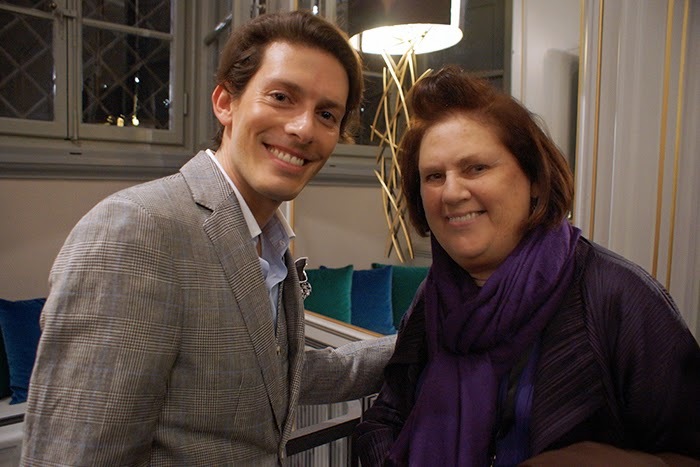 Creative Director and Founder of women's footwear brand Aquazzura; Edgardo Osorio poses with British fashion critic & International Fashion Editor of Vogue; Suzy Menkes at the opening of his flagship store in Florence. 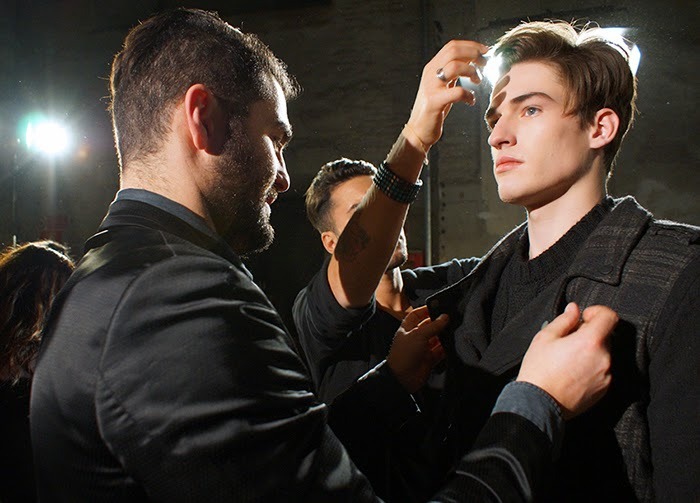 Models Thorben Gärtner and Edward Wilding chill out before the Messagerie Fall/Winter 2015-16 Show. More HERE. The finale of the ARRIVO show, presenting a cooperation project/collection between hat maker Matteo Gioli and menswear designer Stefano Ughetti (from CAMO) at the Pitti Italics initiative supported by MINI. More HERE. British actress and fashion muse, Tilda Swinton causes a stir between the guests and the press after her performance in ‘Cloakroom’, an exclusive and unique act created in collaboration with Olivier Saillard (wears a white shirt and glasses) held at Teatro La Pergola during the 87th edition of Pitti Uomo in Florence, Italy. ‘Cloakroom -Vestiaire Obligatoire’ is the latest part of a series of performance works/collaborations between Saillard and Swinton, that intend to show a different apprach to fashion. In this particular episode,Tilda Swinton plays a wardrobe/cloakroom employee who invites the audience to deliver one of his garments as she hands a ticket with a number. She contemplates and interacts in many amusing and interesting ways with the coats, scarfs and jackets, bringing out the spirit of the clothes! In the image, you can see the ending of the performance when Tilda requests the tickets and hands back the borrowed clothes to their respective owners, assisted by Olivier Saillard. 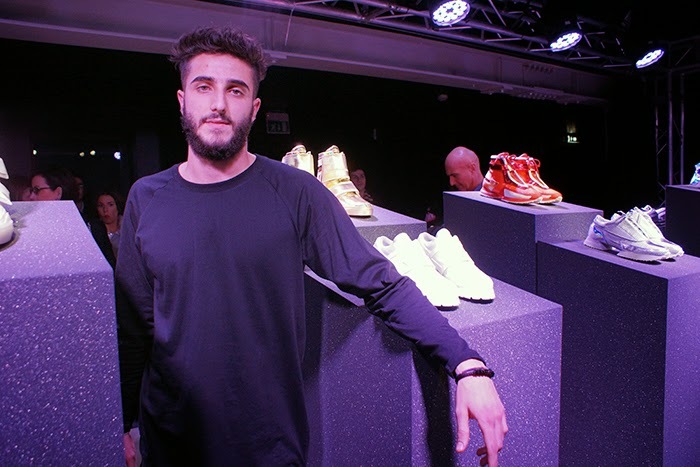 Alberto Premi stands at his footwear presentation at Cinema Alfieri. 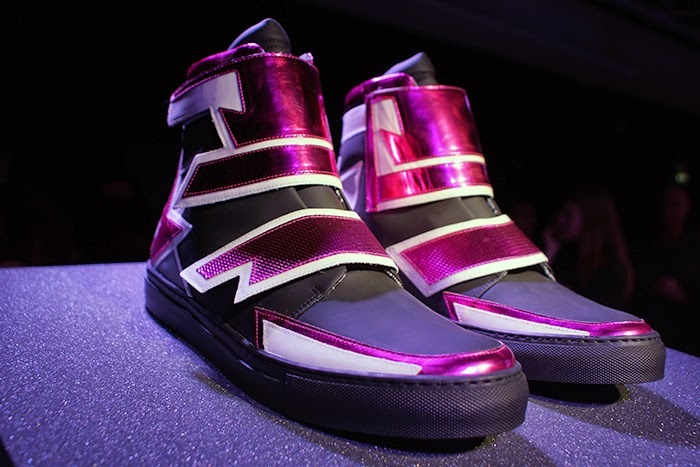 Intergalactic shoes from Alberto Premi! Models at the Andrea Incontri Fall/Winter 2015-16 show held at Palazzo Corsini. Models enjoy some freshly squeezed orange juice at Corneliani Fall/Winter 2015-16 Backstage. More HERE. 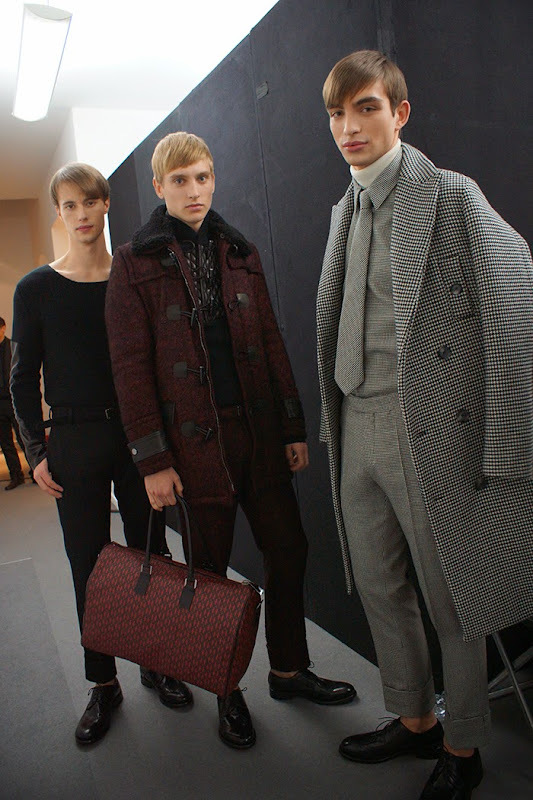 Models line-up at Daks Fall/Winter 2015-16 Backstage in Milan. More HERE. 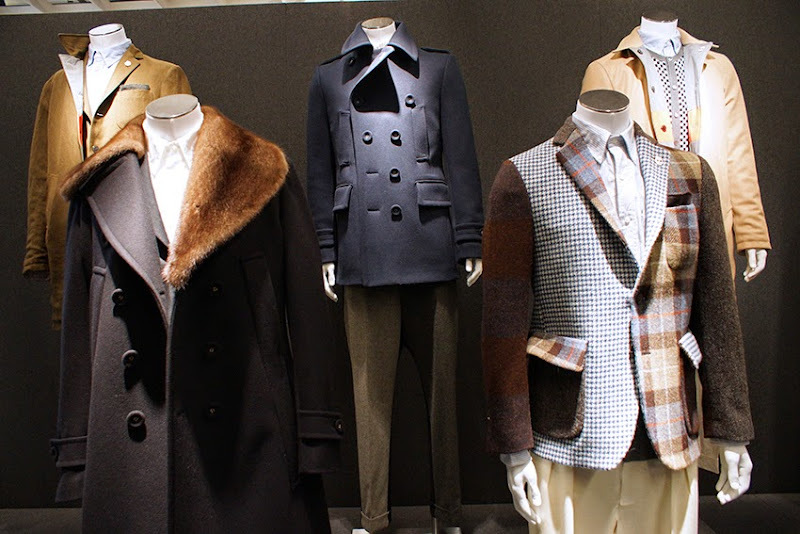 The guys are ready for the Corneliani Fall/Winter 2015-16 show! Rehearsal! 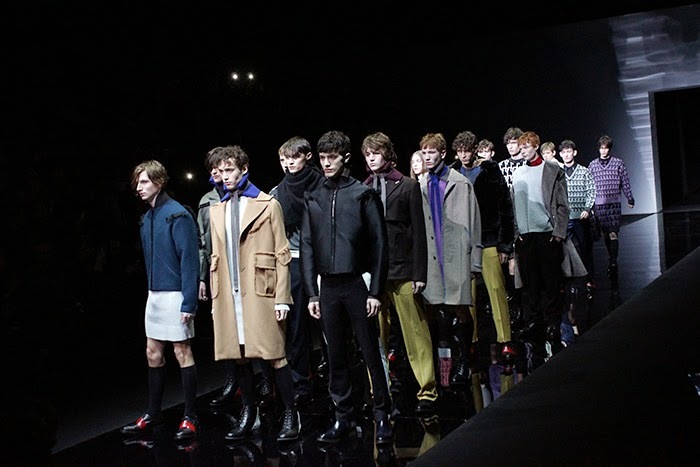 Models need to cover their shoes in order to keep the runway floor perfectly clean for the Edmund Ooi's Fall/Winter 2015-16 show held at Armani Teatro.More HERE. 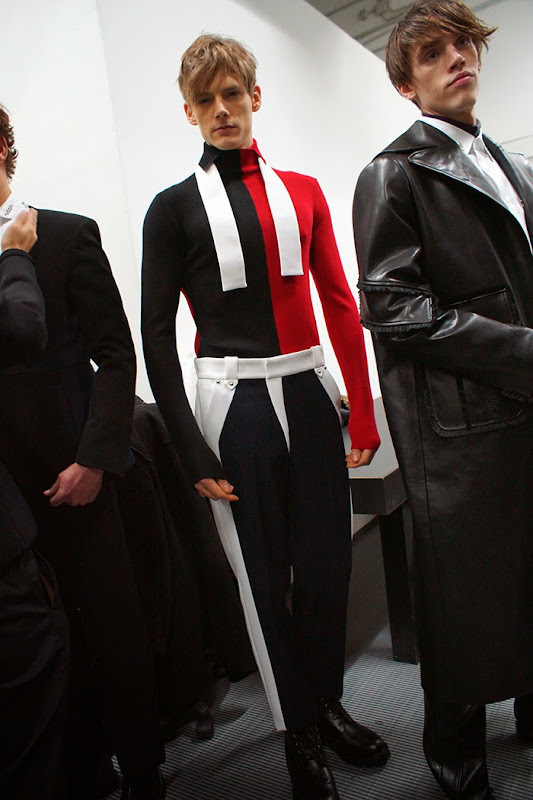 German model Johannes Niermann is ready to walk the Edmund Ooi Fall/Winter 2015-16 show at Armani Teatro, Milan. Finale! 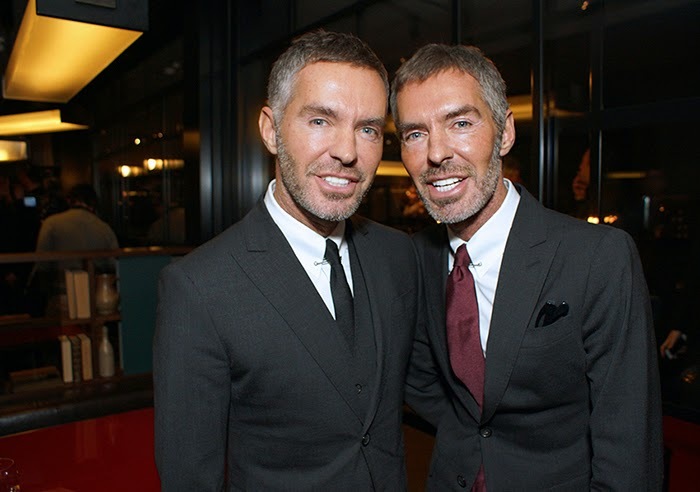 Malaysian-born designer Edmund Ooi was selected by Giorgio Armani to present his Fall/Winter 2015-16 Collection at his Teatro, as a part of the iconic designer's project to support young talents in fashion. 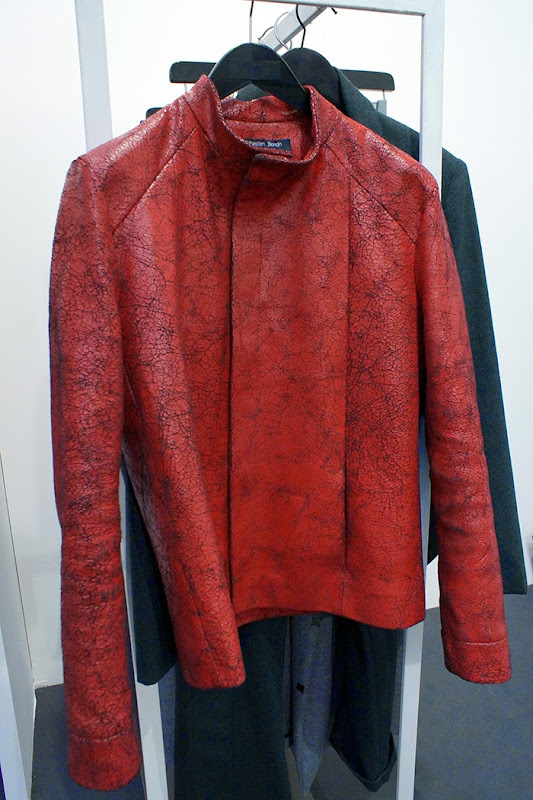 Luca Larenza Fall/Winter 2015-16 Presentation. More HERE. Model standing for the finale of the Moncler Gamme Bleu Fall/Winter 2015-16 show.